A Maryland man who fatally struck an FBI agent and a fire marshal on the side of a highway has been convicted of negligent driving and paid a $280 fine. The Washington Post reports 28-year-old Roberto Garza Palacios served no jail time for his role in the December crash that killed Deputy Chief State Fire Marshal Sander Cohen and FBI Special Agent Carlos Wolff. 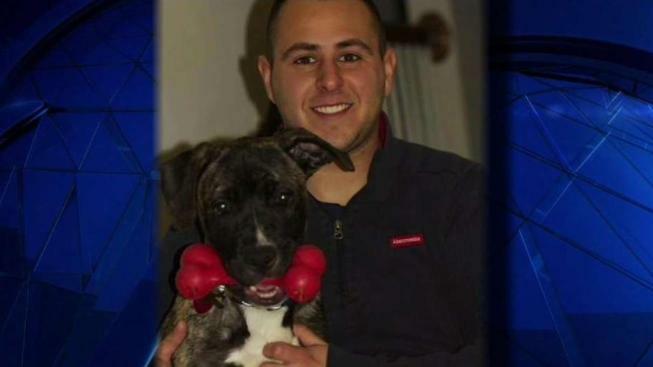 Wolff and Cohen were standing on the side of the road on I-270 in Montgomery County when they were struck by a Honda Accord driven by Garza Palacios. Wolff had crashed after reaching for his cellphone, and Cohen had stopped to help. Garza Palacios, a native of Guatemala, still faces possible deportation. Immigration authorities arrested him after the accident and charged him with overstaying a visa. The Post reports Garza Palacios had been convicted previously on traffic and criminal charges. "In a 2015 case, he pleaded guilty to driving while impaired. Around that time, he also served about four months in jail after being arrested for smashing windows on about 16 cars and lighting a sofa on fire near a construction site," the Post report read. Sander Cohen's father, Neil Cohen, told News4 Friday that he does not support anti-immigrant sentiments, but wishes that Garza Palacios had been deported for those crimes before Dec. 8, 2017, the date of the deadly crash. "The truth is that there are people who shouldn't be here," Neil Cohen said. Cohen said he's angry Garza Palacios won't serve any time in jail for the crash. "Because the person who caused the accident really didn't get punished, it doesn't feel like there's closure," he said.